Born and raised in Miami, Malone's passion for music started at an early age; where he was taught the basic techniques of Djing by his uncle at the age of 10. Also taking piano for many years growing up, the foundation for music was established at a very early age. With the guidance of long-time friend and fellow Miami D.J., Edgar V, Malone has developed his craft significantly over the last couple years and has become a house hold name in the Miami Music scene. 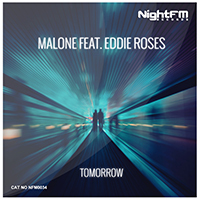 Malone’s first single “Tomorrow” ft. Eddie Roses, a progressive house track, was released on Night FM Records in June, 2015. Malone is set to release more original productions in 2016, as he has been working closely with many different talented producers, engineers, singer/songwriters in Miami. 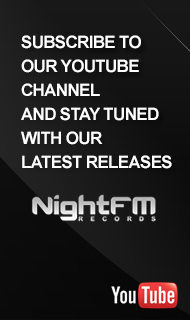 He sets to expand his genre capabilities to include progressive, deep/future house, and house music genres in his original production moving forward. Malone has played at some of Miami's leading venues including the legendary Club Space, Nikki Beach Miami, TreeHouse and many others. 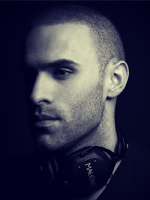 Alongside his residencies at Club Fifty and Nikki Beach, Malone has played many events including: Independence Colombian Festival and back to back Winter Music Conferences (WMC), along side Swanky Tunes, Robbie Rivera, Oscar G, David Tort, Edgar V, Henrix, Digital Lab, and many more world renown DJs. With the uncapped potential and rapid growth, Malone is on a mission to establish himself in the Electronic Dance Music industry and fulfill his dream of being able to share and play music for the masses. Look out for a breakout 2016 for the Miami artist.